The name says it all! Crater Lake Lodge is perfectly placed at the lake’s edge giving visitors sweeping views of the deep blue water of Crater Lake surrounded by tall cliffs that become covered in snow for several months each year. This is one of the Historic Hotels of America, a title given to only six hotels in Oregon. The combination of the National Park Rustic design, also known as Parkitecture, and jaw-dropping views of Crater Lake alone will leave you wanting to come back again and again. The lodge is open from Mid-May through Mid-October. 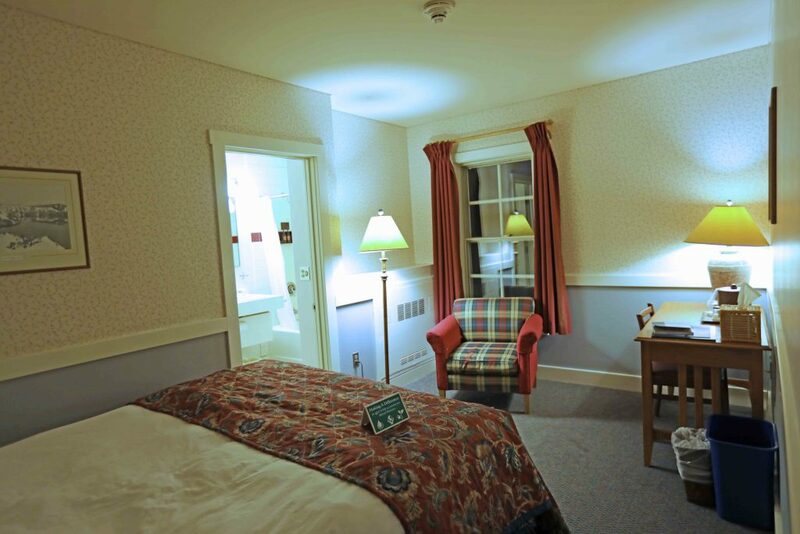 There are 71 rooms available, six are ADA Accessible. Do not expect to walk-in and get a room, most rooms are booked out a year in advance! Check-In: 4 pm, Check-out is 11 am. Ranger Programs are available in the lodge, check inside the lodge for details. Reservations can be made up to 13 months in advance by calling (888)774-2728 or by going online and making a reservation. Cell phone service is poor at Crater Lake, especially in the lodge. There is wireless internet available for guests but expect it to be extremely slow as everyone else is connected. I did manage to get some work done between 3 am -6 am when everyone else was asleep. No pets are allowed in the lodge. There are no TV’s, phones, pool or air conditioning in the lodge. I only saw 2 available outlets in the room available for use. There were complimentary toiletries and a hairdryer in the room and a small gift shop area as you come into the lodge. Park Ranger John Pro Tip: Not all rooms have a shower and a tub. 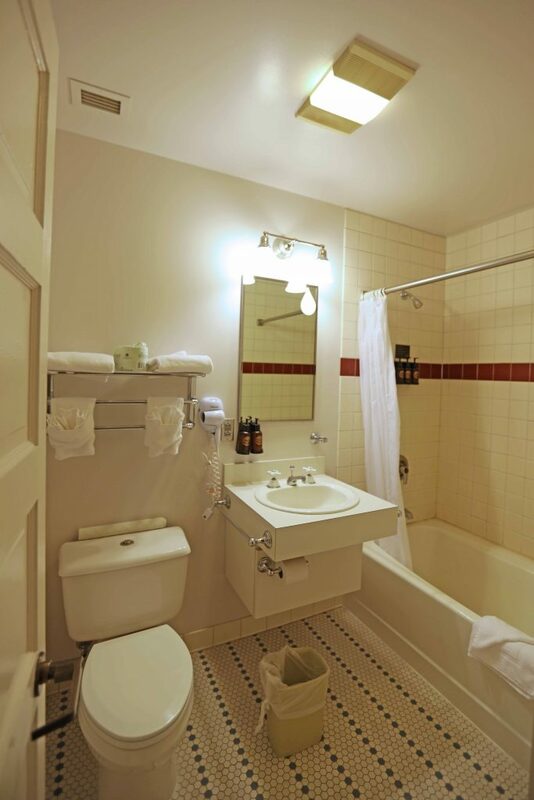 If you prefer a shower make sure to ask for one when making your reservation. There is no guarantee this will happen but they will do their best to accommodate you in your request. 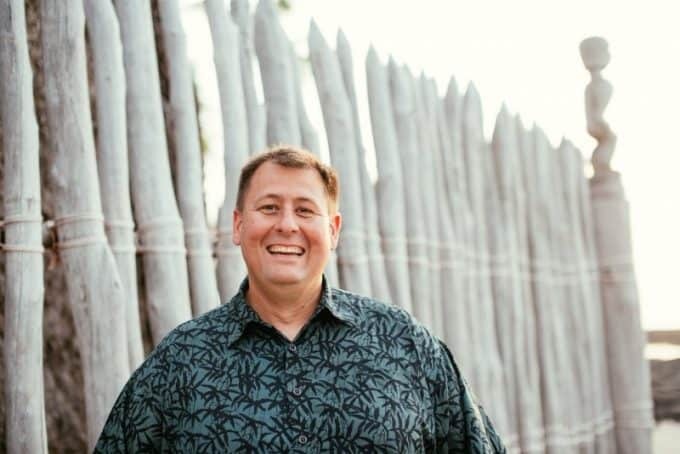 If you are unable to get a room on your desired date make sure to check if they have room at Mazuma Village as they have 40 rooms there and is located about 7 miles from the Crater Lake Lodge. 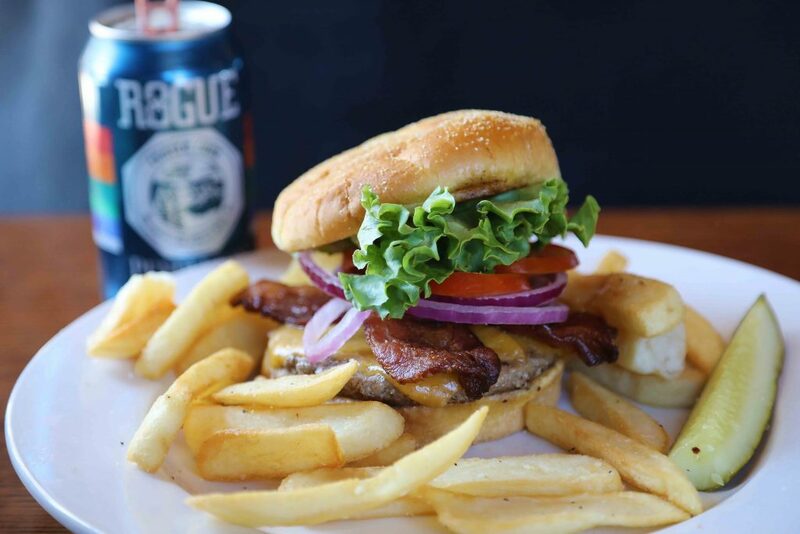 The Crater Lake Lodge restaurant is open for breakfast, lunch, and dinner. Reservations are accepted for dinner only and can be made by calling (541)594-2255. I thought the menu was inspiring and sounded incredible stating they serve choice Northwest Cuisine. I have eaten here a few times and have to say it was less than inspiring as our food came out cold every time. I was much happier with In-N-Out I had in Medford before heading to the park. Having said this I would say that we had a really good breakfast. I did enjoy the Crater Lake Benedict and the view of the lake for breakfast with coffee is fantastic! There is no bar in the lodge but you can order drinks in the great room and can get drinks in the restaurant. One of my favorite things to do in Crater Lake is to enjoy a drink on the deck after a day of exploring the park. 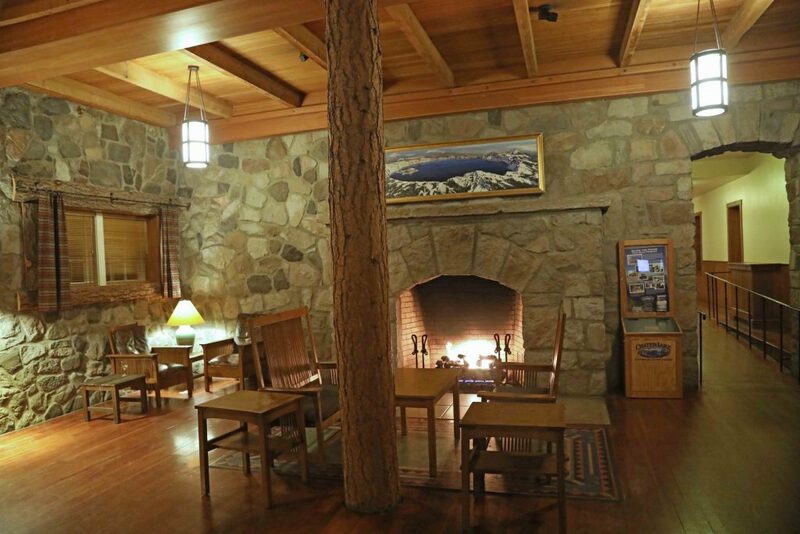 The original vision for the Crater Lake Lodge was to be like that of a European Hunting Lodge. Construction of the Lodge began in 1909 but was not completed until 1915 due to a lack of funding. There were several shortcuts made to get the project completed and open for business. Several changes took place in the lodge along the way including the addition of the West Wing in 1924. The lodge was shut down during the Second World War from July 1942- June 1946. The National Park Service found numerous problems when they went to reopen the lodge including walls bowing and beams sagging. The Lodge had not been built sturdy enough to withstand the harsh winters of Crater Lake! It was then that there were the first talks of demolition to the lodge. The lodge survived and remained open, The National Park Service said that the Building was going to be demolished in 1984 as it was just unsafe! There was a tremendous outcry from the public. 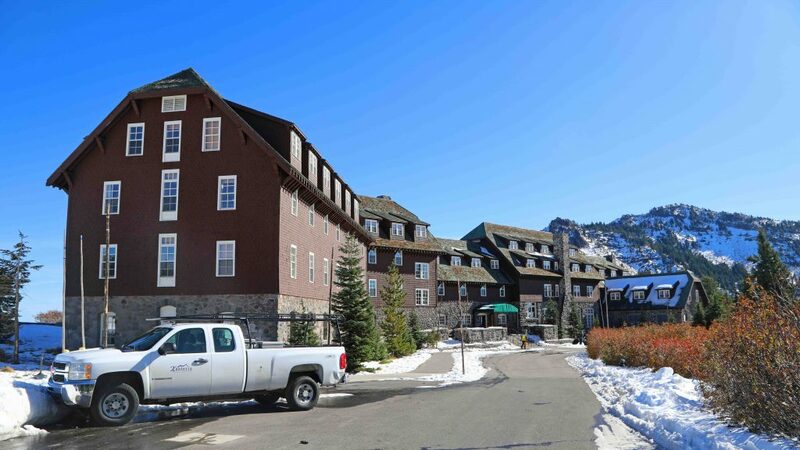 So much so that the National Park Service eventually gave in under extreme pressure from the public and legislative bodies from both the State and Federal Levels to fix the lodge instead. The original lodge finally closed in 1989 and reconstruction/renovation began in 1991. The Lodge restoration cost $15,000,000 to complete and once again the doors were open to the public in 1994. This renovation brought the lodge up to safety standards and was built to last the harsh winters of Crater Lake. It also fit the needs of a Classic “Criterion” Classification 1 Lodge under National Park Service Standards and will serve the public for years to come. 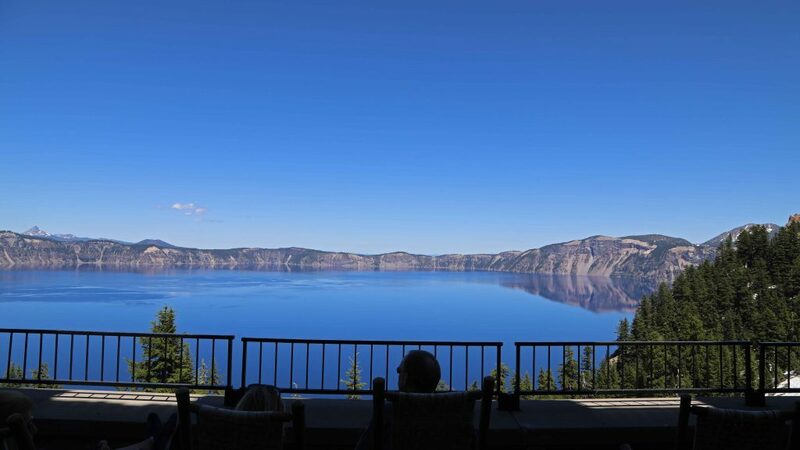 There are a couple great reasons for staying at the Crater Lake Lodge. The first is the ambiance. Crater Lake Lodge is a Classification 1 “Criterion” National Park Lodge, a merit only given to 4 National Park Lodges! It was given this prestigious honor as it is considered an integral part of the park experience. These are amongst the oldest lodges and are the “Criterion” for National Park Lodges. The lodges massive fireplaces were great for warming up, along with a warm beverage in the great room after spending a cool brisk October day in the park. We enjoyed the fireplaces even more after getting up super early to see the night sky and sunrise. There was even free coffee in the great room in the morning! The second reason is location. Imagine standing outside of the lodge at night looking out at Crater Lake. You see endless stars and the moon as they light up the sky enough to see the cliffs and the lake. Wait long enough and you will possibly see one of the most epic sunrises of your life. The magic starts early, close to an hour before sunrise as you get the first tones of red and yellow coming from the east side of the lake. The colors get gradually brighter until almost sunrise where the sky is already turning bright blue when the first rays of the sun peak over the cliffs of the lake. I hope this helps if you hope to book a reservation at the Crater Lake Lodge. We had a great experience and would love to go back and spend more time is this incredible National Park & lodge. Bathroom in Room 211 at Crater Lake Lodge in Crater Lake National Park. Pin this to make it easier to find in the future! Check out these other great National Parks in Oregon!